California farm employers report about two unique Social Security Numbers for each year-round equivalent job, suggesting that the average worker employed in the state's agriculture worked about 1,000 hours or half of the year. This two-workers-per-year-round job ratio was similar in 2007 and 2012, but down from 3-to-1 in the 1990s, suggesting that more workers are employed for longer periods on one farm. 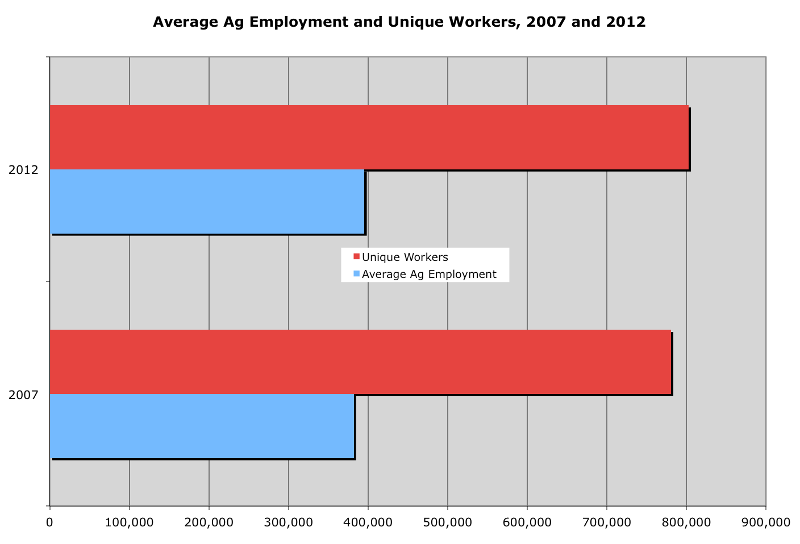 Almost half of the 800,000 farm workers were employed by crop support services such as labor contractors.